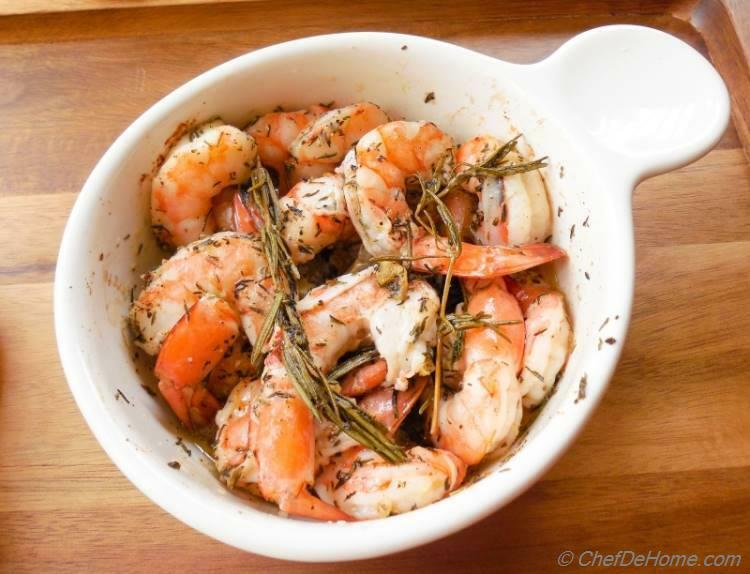 In my family, we love shrimp in all forms - roasted, grilled or fried. Cooked shell fish changes from gray to a beautiful pinkish orange color, makes me love seafood even more. Its true we eat with our eyes. 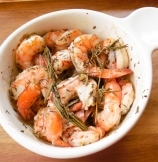 This shrimp recipe is a quick and healthy yet very flavorful dish. Above all it requires no attention from you. I strongly recommend buying pre-cleaned shrimp. 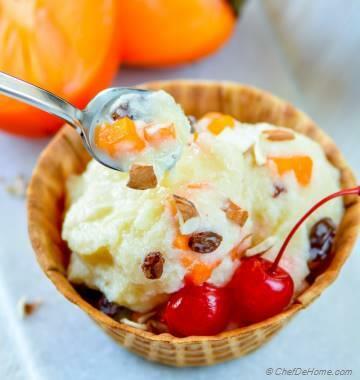 And then you need 20 minutes before dinner time to make this recipe start to finish. Just grab a rustic olive bread while going home. Bread tastes amazing when dunked in roasted shrimp sauce collected at the bottom of pan. I used individual oven safe serving containers to bake it, so every one gets own portion of sauce to dunk the bread. It makes it easy to serve - cook and serve containers and no messy cleanup needed to make this mouthwatering dinner in 20 minutes. 1. Position rack in the center of the oven and heat oven to 400 F. Equally divide olive oil, garlic, thyme, rosemary and 1/4 tsp pepper each in 2 individual serving oven-proof dishes. 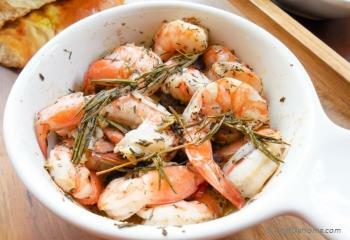 Place both dishes in heated oven and bake until the oil mixture is fragrant (8 minutes). 2. Remove from oven, distribute 1 pound fish equally among two dishes (be careful not to touch the dish since it can be very hot). Use tong to toss the fish with oil mixture until coated. 3. 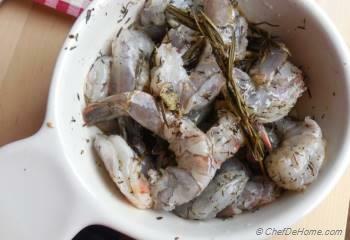 Return to oven and continue bakink till shrimp is pink and firm. Remove from oven,let it cool for 5-6 minutes before serving. 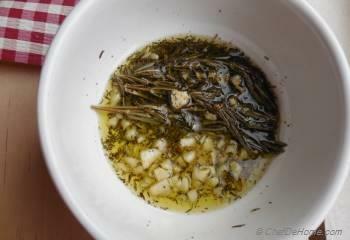 Discard the herb (if you like) and serve with rustic piece of bread on the side. 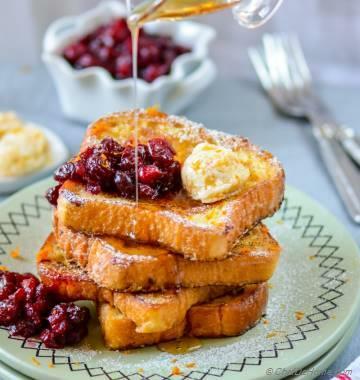 Disclosure - This recipe is adapted from Fine Cooking Magazine. 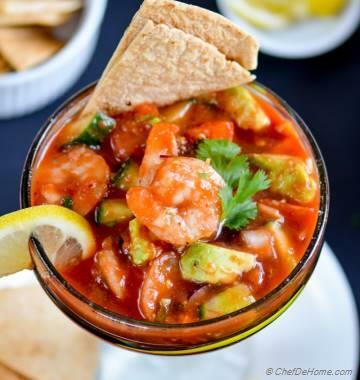 love shrimp! your recipe looks interesting, have to try this. tempting!! 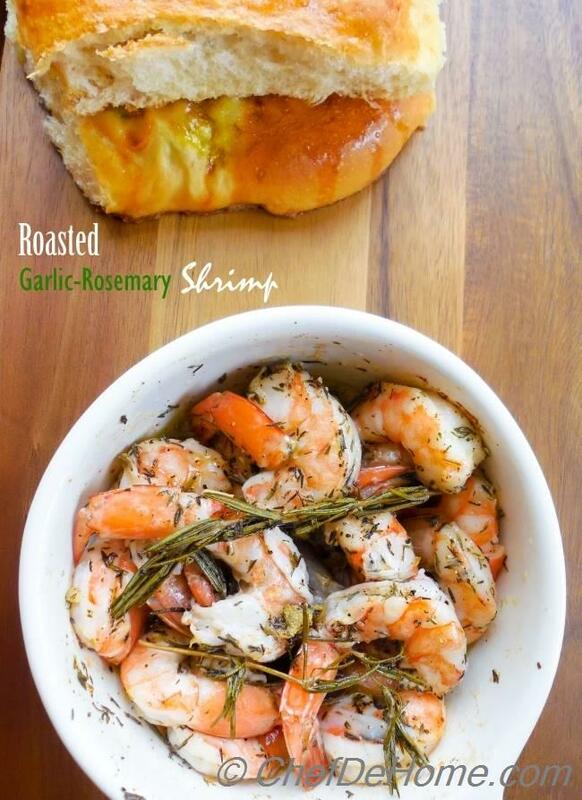 shrimp with rosemary and garlic, sounds delicious. I can't wait to try your recipe.